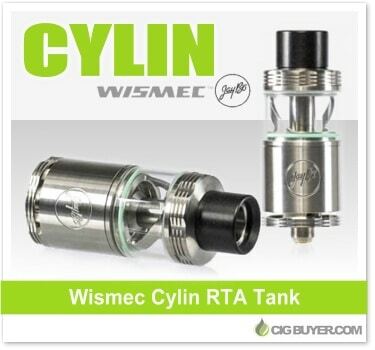 An innovative collaboration between Wismec and Jaybo Designs, the Wismec Cylin RTA Tank is a unique rebuildable platform that acts as a dripper – or as a 3.5ml tank system. Not only does it have a unique two-post build deck fed directly by the bottom adjustable airflow, but the removable tank section features an adjustable auto dripping system that’s also compatible with the Inde Duo and Indestructible RDAs. You control the drip rate with a simple twist, or seal it off completely for building and refilling. The Wismec Cylin Tank is top-filled, includes a gold-plated 510 pin and comes with two easy-to-use NotchCoils.